ADHD is real and valid. The sooner we recognize the patterns and learn to work with these kids, the better assured we will be that they as adults with be healthy members of society. Teachers and education administrators need to be the strongest advocates of early intervention and support. 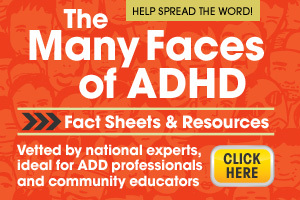 Unfortunately, many of them deny the existence of this ADHD and aren’t willing to look at sound science that supports this.